2017 brought a completely new line of standup paddleboards. We reinvented the drybags, which we invented in the first place. We joked about the best way to wear a cocktail dress made of NRS straps and we poked fun of all the reasons we wouldn’t go multi-day rafting. Oh yeah, and we sat down with former President Jimmy Carter to chat about the importance of wild and scenic rivers. To say it was a big year would be an understatement. But I guess we always say that. Cheers to another year. We can only imagine what we’ll think up to best ourselves in 2018. The Wild President | President Jimmy Carter grew up in awe of nature’s wonder. 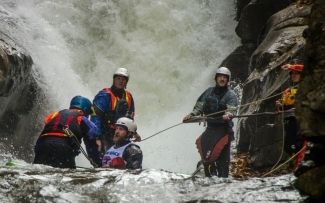 But it wasn’t until he first paddled the Chattooga River that he understood the power and majesty of a wild, free-flowing stream. The Wild President tells the story of Carter’s pioneering tandem-canoe descent of Bull Sluice Rapid and how the experience transformed his life and politics. 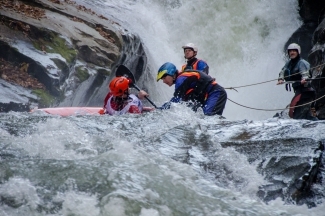 In 1974, Carter successfully pushed to designate 57 miles of the Chattooga as Wild & Scenic, permanently protecting it from development and dams. Our experience building outfitter-grade equipment and apparel have always informed the products we built, but a lot has changed over the years. Gone are the days of bucket-floor rafts, home-built frames, foamed-out Danvers and hand-sewn PFDs. Today’s paddlers, rafters and anglers deserve not only durable and functional gear but gear that enhances their experiences on the water through exceptional design. We’re proud of each product we released in 2017, but these six take the W for innovation, style and stoke. Pivot Drysuit | The Pivot drysuit was once referred to as a “superhero second skin.” It’s that comfortable. It’s that dry. It’s that dependable. By placing the Pivot’s TIZIP® MasterSeal zipper on the back, we’ve eliminated pressure points on the front of the suit, while improving flexibility and reducing stress on the zipper. The backzipper also makes it easier to take on and off—without a buddy. Constructed with 4-layer Eclipse™ fabric for maximum waterproofness, breathability and durability. The ultra-comfy suit is rounded out with a relief zipper, a small splashproof chest pocket, reinforced knees and seat for those high-wear areas. Ion PFD | The evolution of NRS lifejackets continues with the ultra-comfortable, low-profile Ion. Its six-panel design uses ultra-soft foam for a flexible fit that wraps effortlessly around your torso. Padded shoulder straps, a soft interior lining and fleece-lined hand-warmer pouch make it as cozy as it is comfortable. Our Cool Flow System (CFS) back panel adds welcome ventilation on warm days, and the roomy front pocket gives you plenty of room for snacks and supplies. As the experts always say, the best lifejacket is the one you’ll actually want to wear, and we’re pretty confident the Ion is a PFD you’ll forget you have on. Neko Knife | The Neko combines the superior blade design, ergonomic grip and integrated features of the popular NRS Co-Pilot Knife with the sleek, easy-to-use characteristics of a friction-release sheath. The hybrid blade features a serrated section for quickly cutting rope and webbing, plus a razor-sharp smooth section for finer cutting. Experienced boater preferences vary between using a pointed or blunt-tipped knife, but we offer the Neko with both options and we’ll let you be the judge. Expedition DriDuffel | With room for all the clothes you’ll need for a weekend, a week or a month, the Expedition Driduffel makes quick work of the daily pack-and-re-pack routine. A waterproof zipper seals out water and makes opening and closing the bag a breeze. Thrive SUP | The Thrive series SUPs disproves the theory that no single board can do several things well. 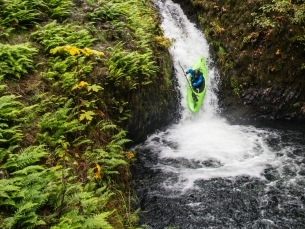 It’s the perfect all-around shape for paddlers looking to mix it up with touring, fitness paddling and light river running. Complete with interchangeable fins to adapt to a variety of waters, a convenient and removable shoulder strap to help haul your board to the water and a travel pack for taking your Thrive on a train, on a plane or in the back of your car. Phantom Jacket | The Phantom Jacket brought our H2Core line of apparel full circle. It breathes freely for aerobic activities and it’s light enough to bring on almost every outing. With maximum UPF protection, light water repellency, and good venting and breathability, it’s a versatile piece that you can wear whether the sun is baking, the wind is blowing, or the drizzle is drizzling. 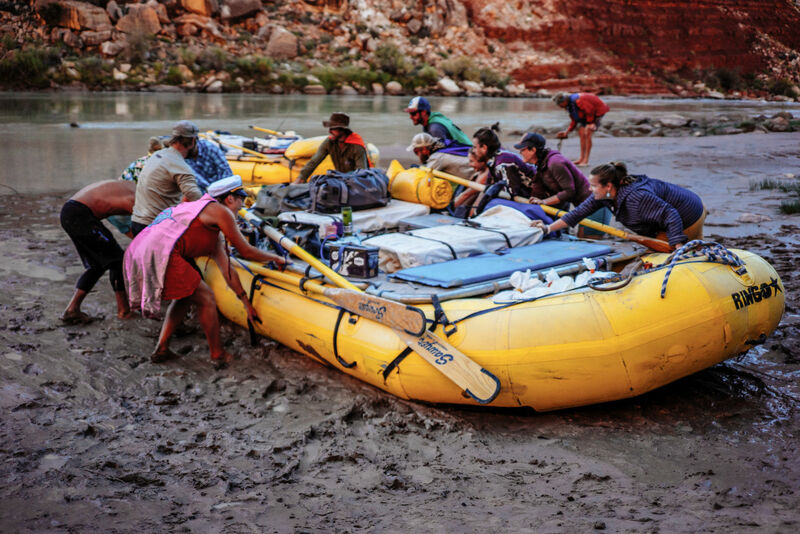 A Case Against Multi-Day Rafting | You get invited on a multi-day rafting trip. You don’t know if you should go. They say life-changing, you hear no 4G. There could be sunshine but wind and rain and snow are always possible. You’ll battle mosquitoes and bees and ants. You’ll eat gourmet food cooked in cast iron over a fire and cowboy coffee with a hint of grit. You’ll sit around campfires until late at night, making whiskey bottles whistle into the desolate night sky. You might even make a few new lifetime friends. But you should probably stay home. 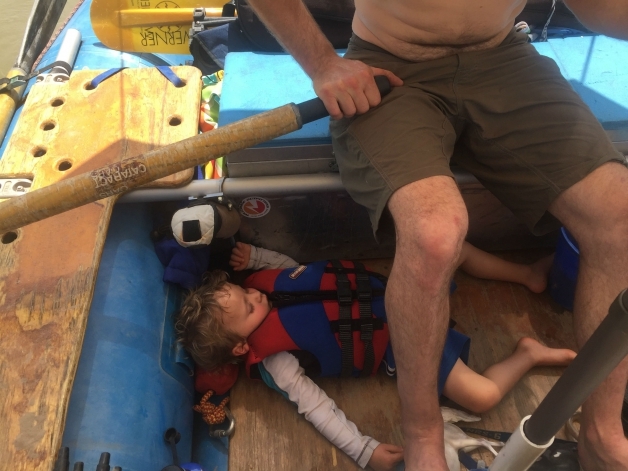 The Next Chapter: Dirtbag Parenting | Because when it comes down to it, it’s not about how desolate the canyon is or how massive the rapids are. 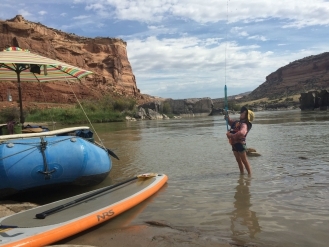 It’s about simply getting your kids on the water, even if that means a flat water float down Ruby Horsethief Canyons when you’re seven months pregnant. The sometimes ugly, but mostly endearing realities of dirtbag parenting are exposed in this poignant, and often humorous, story. 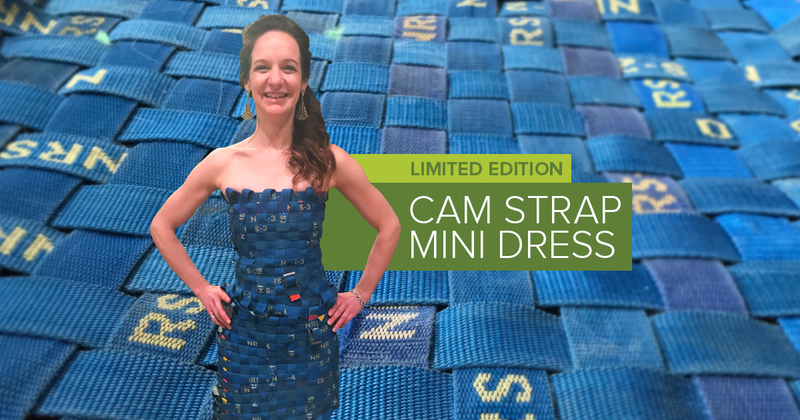 Limited Edition: The Cam Strap Mini | Designed using only recycled NRS Straps, the Cam Strap Mini is a one-size-fits-all dress perfect for your next river trip. This gorgeous cocktail dress was available for one day only—April 1, 2017—and it would have sold out, had it been real. Steph Spring, a member of the Kraken River Club, an enthusiastic community of rafters out of Anchorage, created this beauty and shared the story behind it. 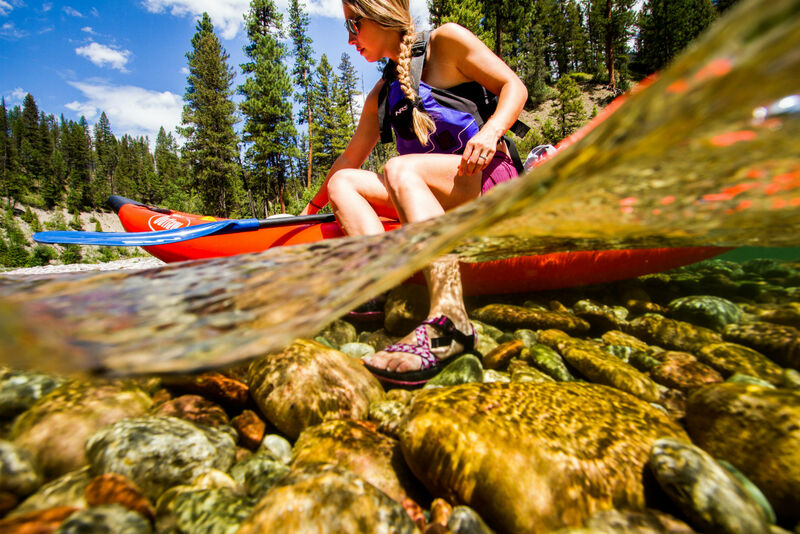 An Idaho Girl with a Kayaking Problem | Simply put, Maranda Stopol loves kayaking. 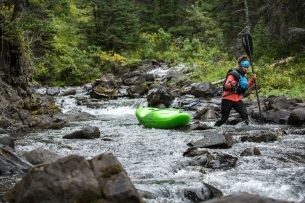 Her roots are that of an Idaho girl, but this 22-year-old has been spreading her wings living, kayaking and traveling through British Columbia, White Salmon, Baja, Colombia and Ecuador. 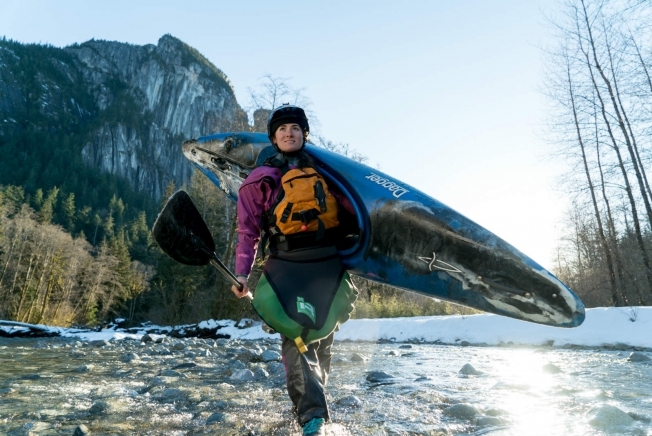 Her drive for expedition paddling is fueled by fun backyard rally runs, a supportive community, and an insatiable hunger for pushing herself. (During a brief moment between her paddling trips, ski adventures, and—oh yeah—school) we caught up with this humble, yet passionate young woman about life, her trips on the Nass and Upper Stikine, and what’s next. 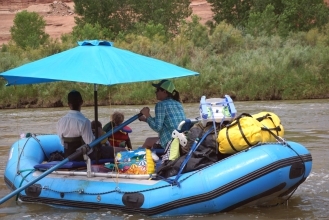 Nine Signs You Live in a Rafting Town | Welcome to Rafting Town, USA where the summer population is 10,574 and the winter population is 27 humans, 15 dogs. If you go to a wedding wearing Chacos and toting PBR and the guy beside you is wearing Chacos and talking about the CFS, you might live in a rafting town. The Green Race: You’ve Been Warned | Even though Item Two of the Participant Agreement, Release, and Acknowledgment of Risk for the Green River Narrows Race states: “I have been warned of the stupidity of this activity, and I freely and of my own will accept this stupidity, ignore all warnings, and participate anyway,” that won’t stop more than 150 paddlers from taking on the technical rapids of The Green Race in North Carolina every year. 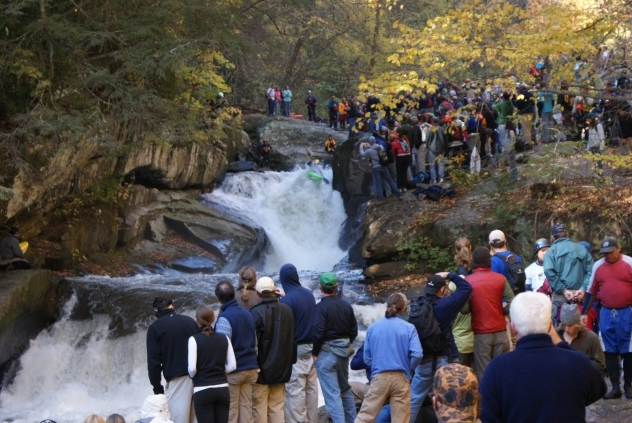 With steep drops, rocky slots, and hundreds of spectators drinking beer and hollerin’, the Green Race is quintessential “Dirty South,” the kayaking edition.